The Arizona Balalaika Orchestra, a non-profit community ensemble founded in 1980 by Mia Bulgarin Gay, has played Russian folk music all over the state and twice in Sonora, Mexico. This is their third appearance with the Tucson Pops. It is one of only about a dozen Russian folk orchestras in the US; others are found in Sweden, Australia, Japan, Germany, wherever Russian immigrants and refugees settled. Joining the Arizona Balalaikas this evening are noted tenor Grayson Hirst and gypsy vocalist Natalia Neazimbyetov. The traditional instruments include the triangular balalaika and rounded domra, both of which come in several voices, plus accordions, woodwinds and the exotic 'gusli,' a unique Russian table harp. During the Soviet years, and even today, these instruments are studied in the major conservatories of Russia. The Ossipov Orchestra of Moscow toured the world, as did Moyseyev dancers and Red Army Choruses. Their talents have spread throughout the west since the USSR fell. It has been a privilege to continue the Slavic musical tradition in Tucson, now for almost 40 years, and contribute to the cultural diversity of Arizona. Enrique “Hank” Feldman is a pianist, vocalist, musical director and conductor, artist, educator, and public speaker whose influence is worldwide. 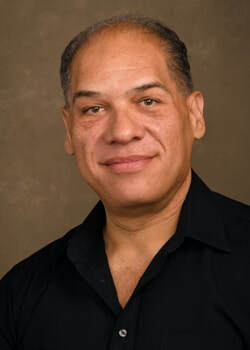 He is a native of Tucson, a graduate of the University of Arizona, and the former Director of the UA Pride of Arizona Marching Band, Pep Band and Symphonic Band. Hank is a former professor of music and education at the University of Wisconsin-Madison. Hank has conducted a great number of orchestral ensembles including several local Tucson musicals. He also composes music for choral and instrumental settings and his music can be heard in films such as Gun Hill Road. A classically trained musician, Hank has performed with the Cuban Jazz trio, Acerekó, and toured with the musical CHICAGO. He is the Founder and Director of Education of the Global Learning Foundation, which has served over 135,000 children and families since 2001 and is the Co-Author of the children's books series, Sam the Ant. Hank is also the creator of iBG®, intellectual brainwave games and the producer of many albums and the touring theatrical show, "The Inner Journey" with artist Rick Wamer. As a public speaker, Hank is a thought leader and speaks at educational and corporate conferences throughout the U.S., Mexico and Canada. An avid foodie and cook for his family, he is the “recipe guy” for his son's catering company Cuban Twist. Hank's journey is interwoven with his wife and pianist, Marie Sierra, and their children Sam and Nick.